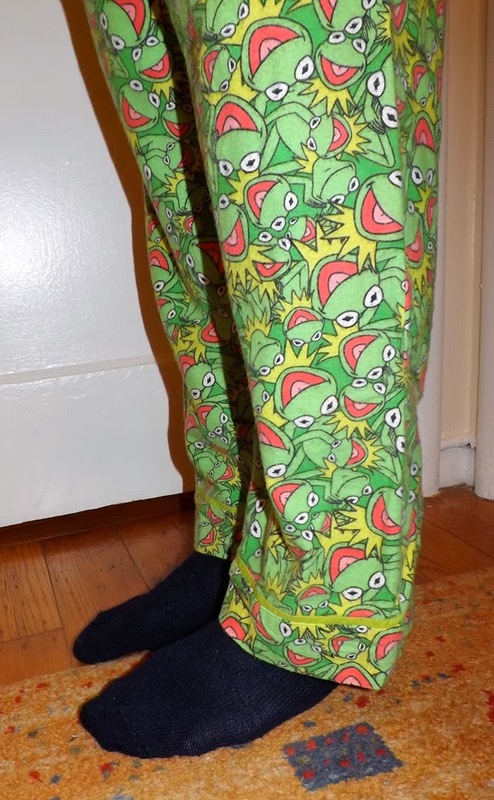 For Alec's birthday this year I made him a pair of Kermit the Frog patterned pajama pants. 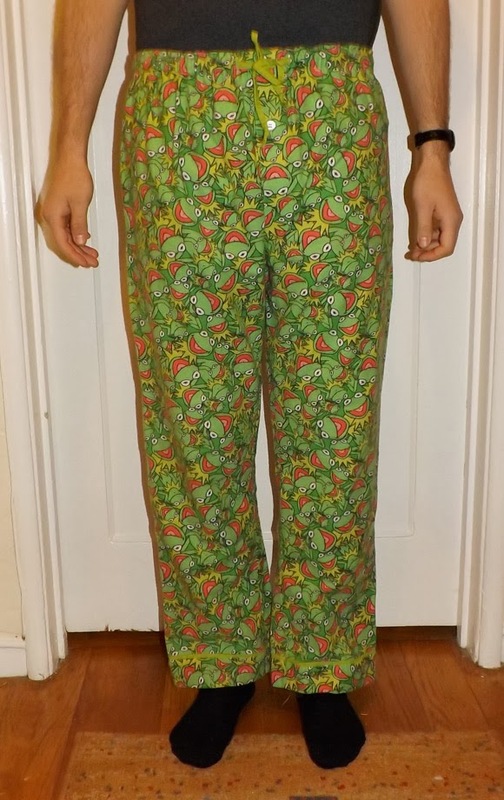 He already had some pajamas that fit him pretty well, so I used those as the pattern for the new pair. 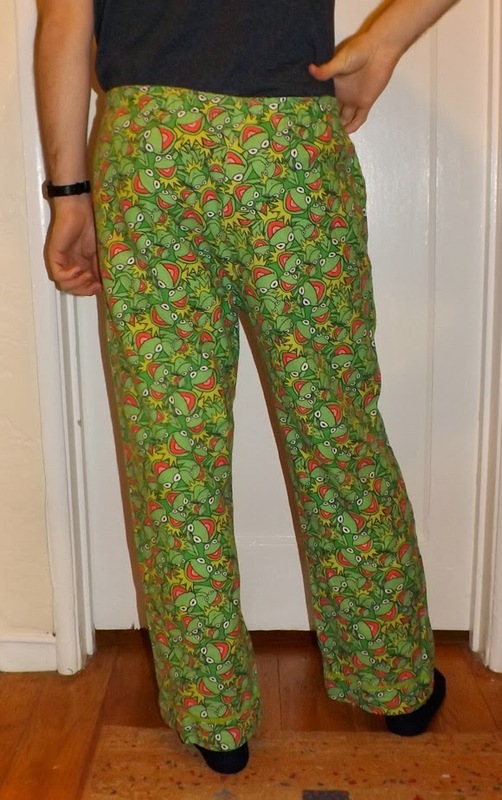 I did add some length and a decorative bias strip at the bottom hem as he is pretty tall. 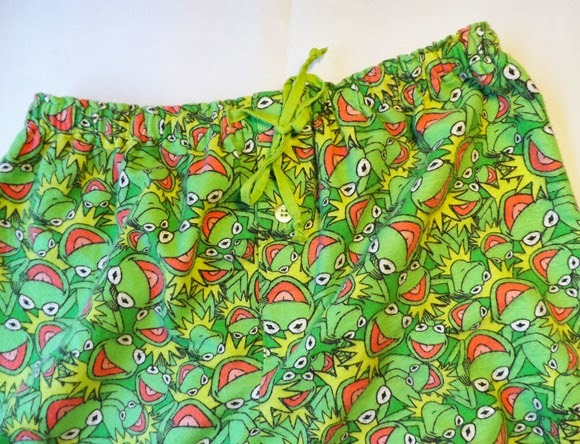 He loves the Muppets so he's pretty stoked on them.